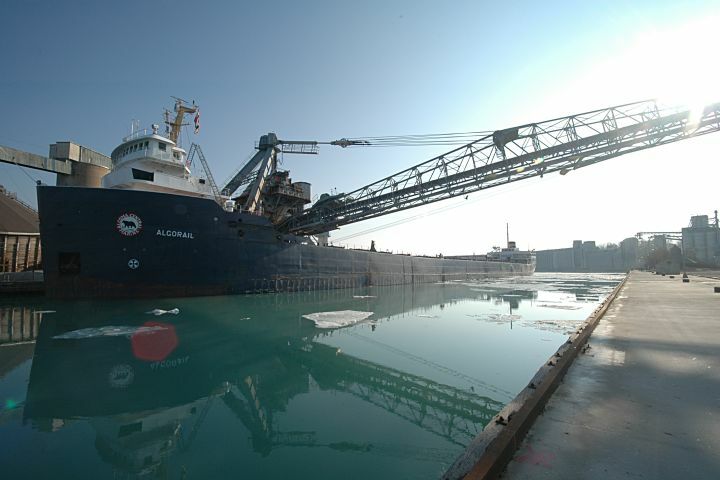 The freighter Algorail loading salt in Goderich Harbour. One of the crew shouted for me to e-mail the photos; this is the best I can do for now! Oh, and there’s a panorama of the scene here: scruss.com/gallery/pano.